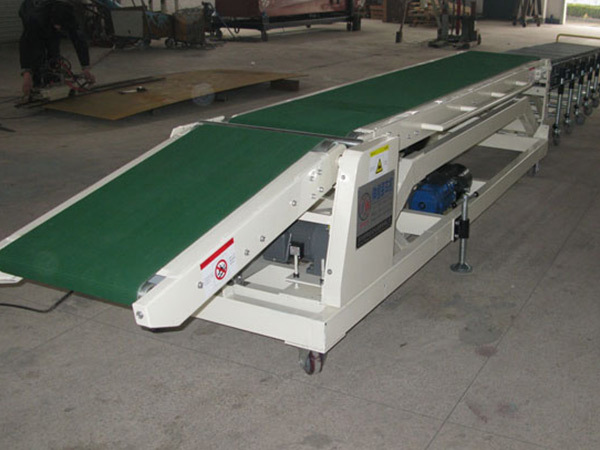 Front part is motorized roller conveyor; goods can be transmitted automatically, save time and labor. 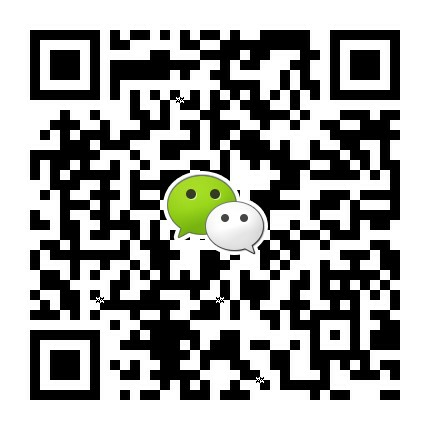 Feeding part can be adjustable so that different height of operator can put goods easily. 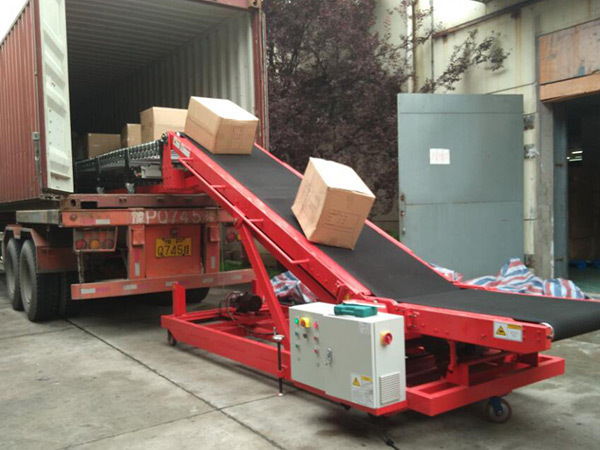 Slope climbing part is adjustable automatically to keep same height level with goods in truck, reduce labor intensity. 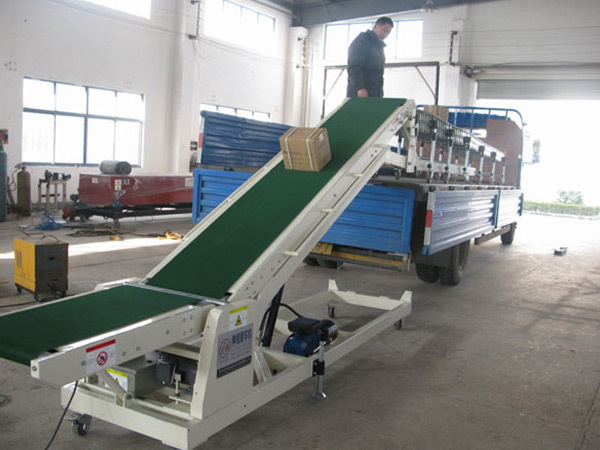 JWB carton loading conveyor can be used in ground directly for loading or unloading, no need loading platform. 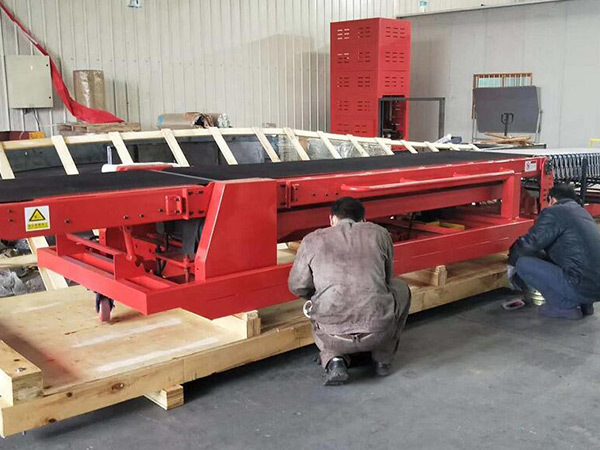 The front part of machine always keep in horizontal condition, so that operator collect goods easily. 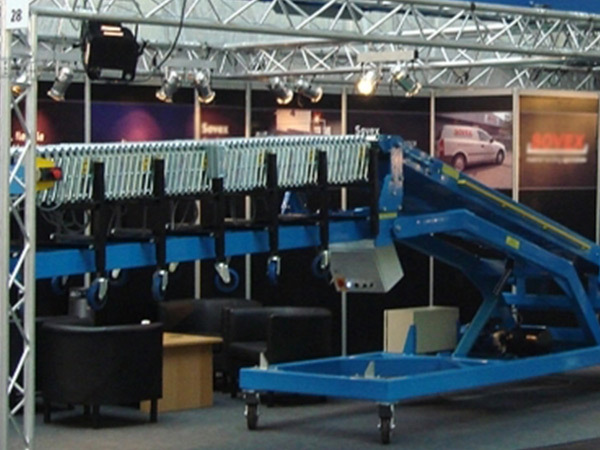 Operation height conform to ergonomic design, easy to handle goods, reduce the labor intensity of workers.